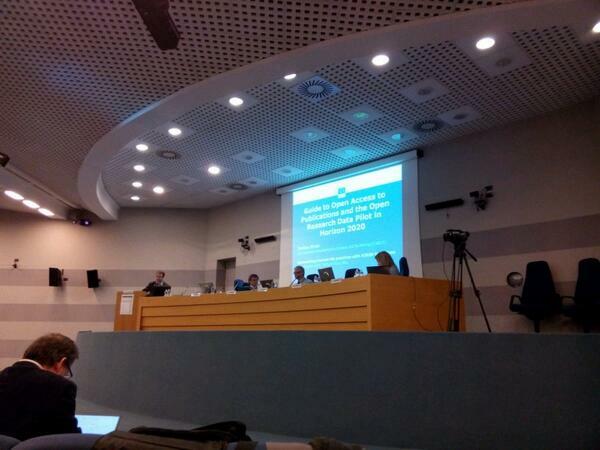 The Italian blogger Alessandro Sarretta attended the event titled "Open Science 2020: Harmonizing Current Open Access practices with H2020 Guidelines" organized by the Italian National Research Council in Pisa, Italy, last Tuesday 8th of April. The clear and comprehensive résumé that he gives in his blog reveals why it was worth being there. Three the main takeaways he retrieved from the meeting. 1. Time has come to evangelize open access. This was the unusual invite by professor Juan Carlos De Martin (Politecnico of Torino, Italy): professors and researchers should do their best to convince colleagues and partners about the opportunities of open access, by stimulating the discussion and answering doubts and questions. At this purpose see the interesting presentation titled “Closing the Grey Gap – An open data intensive challenge” by Peter Doorn (@pdoorn) with some tables comparing the most frequent fears researchers have when dealing with making data open, and the relative good reasons why to do so. 2. Let's create an "Open Access awards" scheme to honour not only the best Open Access papers, but also the best OA books, magazines, proceedings as well as researchers or librarians (and here comes the sentimental clue in the title). 3. An "Association for Open Science" is needed: looking at Italy specifically, the final panel discussed the opportunity, raised by Italian Trento Professor Roberto Caso, to create an association where to involve Universities, Research bodies and Scientific Societies with the specific aim to lobby about Open Access.